Not all K-cups are created equally. You may know this already… Some typical coffee drinkers report their K-cup brands to hold high-acid profiles, leading to a host of health issues and dangerous consequences. Coffee’s amazing; we all love it. … but at what point does drinking high-acid liquid start to wear on your health, tear up your digestive system, and become not worth it anymore? This is a call you’ll have to make yourself. But we want you to know we’re here to help you with this weighty decision. It’s completely valid for you to forecast the benefits, potential consequences, and weigh them all out for yourself. It is your health, after all. Today’s article compares and contrasts the Top 9 low acid K-cups for you to try for yourself, if you’re concerned with getting enough daily caffeine without the worries that acidic coffees can bring. Wise coffee drinkers like yourself are continuing to sharpen up when looking to dodge fateful issues like heartburn, stomach ulcers, acid reflux, and other scary consequences of drinking potent, acidic coffee. Like you, we want to have all of our options laid out in front of us first, so we can choose the best-tasting, most health-preserving, safe coffees for our bodies as possible. Coffee itself has countless benefits, from sharpening your brain’s neural connections, to lowering inflammation, and even bringing with it a host of antioxidants that fight off free radicals. Simply put, we’d like to take the good and leave the bad. So if you’re with us on this mission, today we highlight the most valuable and efficient K-cups that also carry low acidity volumes, so you don’t have to go out and scour the web for all your relevant options. 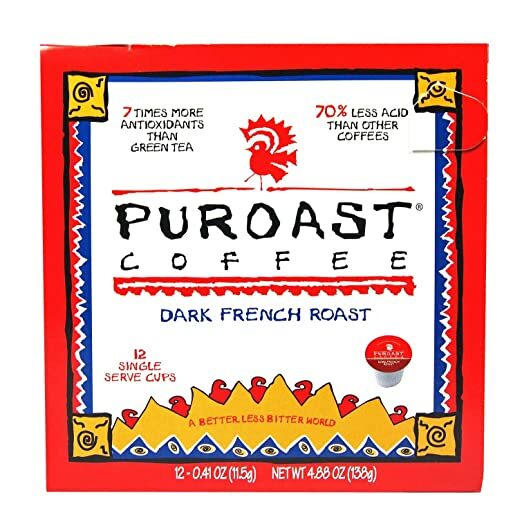 The K Cup I recommend most often for people with sensitivities to acidic coffee is the Puroast low acid k-cups because they are not only formulated to be pH neutral but they also taste really good too. You can see my review of Puroast lower on this page but there are of course a bunch of other great options too. Click here to skip the chemistry and jump to the list of k-cups with reviews. Some folks are not entirely sure why they should search for low-acid K-cups or coffee pods, and get confused when discussing the scientific nature of these things. Taking you back to high school chemistry for a moment, we’ll skip the boring stuff and flying paper airplanes and get down to why you should actually care. Strictly speaking, there are acids and there are bases. The pH scale goes from 0 all the way to 14, and its points represent where things lie on this scale. Anything under the mid-mark at 7 is on the acidic side; anything above is basic. Food examples that are very acidic include many coffees, eggs, milk, vinegar, and things of that nature. On the other hand, basic foodstuff include baking soda, lime, alkaline water and the like. Our bodies are pretty happy somewhere along the basic side of this scale. More acidic levels lead to inflammation, infections, and symptoms like leaky gut and/or stomach ulcers. This is why we’d like to stay primarily on the alkaline/base side, from 7-14, rather than dropping below 7, leaning towards acidity. Now, this isn’t medical advice here, but our “near perfect” level of acidity in the body is somewhere around 7.35 and 7.45, slightly alkaline, and not very acidic. Keep this in mind moving forward, as it’s important to remember when choosing the right K-cups and coffee roasts for your morning brew. You probably know a lot of this, and that’s why you’re here searching for the best, low-acid K-cup coffee pods available. So, let’s wrap up our high school chemistry class, and get back to the coffee comparisons you came for! Here, we’ll compare the top 9 K cup brands that you’ve got to try before curling up in the fetal position and giving up on coffee forever. Or worse, becoming one of those perpetually grumpy humans who hasn’t had their morning cup of joe! These nine selections are perfect if you’ve got a sensitive stomach, current ulcers, or have experienced upsets in the past related to coffee. We’ve got you covered here at Gamble Bay Coffee. Colombian Supremo is some of the best of the best coffee around. It’s special since this blend uses all-Arabica coffee beans, which happen to be the higher quality and taste, compared to its counterpart Robusta. This particular brand uses a “techno-roasting” process which still allows the healthy vitamins, antioxidants, minerals, and other beneficial nutrients to be preserved, and simultaneously reduces the acidity that leads to heartburn and other issues. The roast from these beans is even done in smaller quantities, leading to a higher quality roast that even and utilizes the maximum amount of caffeine, leaving the acidity mostly out of the equation. But you don’t need to worry about taste or quality being diminished; this Colombian Supremo roast has preserved the smooth, deep, and dark mellow tastes from South America. You can pick up this unique low-acidity K-cup roast here. This dark french roast contains a delicious flavor and depth that’s uncommon to a lot of other low-acid roasts available today. It also helps you dodge another aftereffect some other brands carry; it’s not bitter! Many coffee roasts, when trying to remove acidity, remove a lot of the deep flavor and leave a bitter aftertaste. With this Puroast blend, this isn’t the case. It even boasts 7x more antioxidants than a typical green tea, and is 70% less acidic than other coffee blends. It’s a great one to remember in your list of low-acid coffees that still pack a punch, unique flavor, and represent the french roast to the fullest. The second Puroast blend we’d highly recommend would be the House Blend. 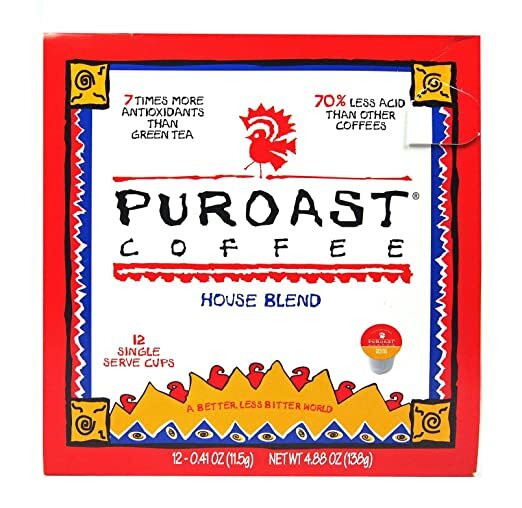 This one is one of the most low-acid coffee roasts you can get, as Puroast prides themselves on having very low-acid, high-antioxidant coffee roasts. The house blend is also especially non-bitter; it’s balanced and smooth, and will hold its flavor and caffeine-power without delivering any gross aftertaste. 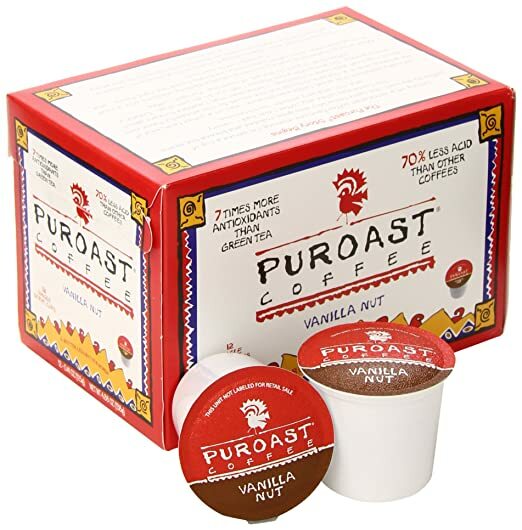 Our final option from Puroast today is the unique and flavorful Vanilla Nut blend. It comes with 12 K-cups to use, that all contain a low-acid profile for sensitive digestive systems. Again, their standards of 7x more antioxidants and 70% less acidity than other roasts is available to you here, and leaves no gross bitter aftertaste. Just a smooth, deliciously comforting, creamy vanilla nut flavor profile. Yet another high-quality Colombian Supremo, this giant selection boasts 72 cups! This is one of the larger packages, so it happens to be a tad more expensive. This is because they filter out only the highest quality Arabica beans (the kind with more flavor, more difficult to grow, but oh so worth it!) grown in single origin; Colombia. People experiencing specific issues with acid reflux would do well to pick up this Don Pedro blend. You can stock up for weeks or months, depending how caffeine-dependent you really are. You should also recognize that this specific line is not compatible with Keurig 2.0 or the Vue machines. 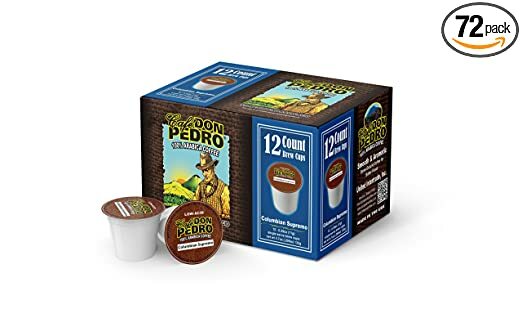 It’s understandable if you like Don Pedro’s K-cups, but aren’t ready to commit to just their Colombian Supremo option. This is why they’ve got this one. While that Colombian is a delicious roast we’ve got experience with, we’d have to also suggest their mixed variety grab bag of all different types of K-cups. These still have low acidity and full flavor profiles, so you won’t get bored drinking 72 cups of Colombian Supremo in a row, no matter how scrumptious it is. This delicious variety pack has six separate flavor cups that all boast a low-acidity profile, and shouldn’t upset your stomach or G.I. tract. The delectable flavors include a Breakfast Blend, French Roast, French Vanilla, Colombian Supremo, Hazelnut Cream, and even a nutty blend called Southern Pecan! If these delicious, low-acid K-cups don’t suit your fancy, well, we’re not sure what will. 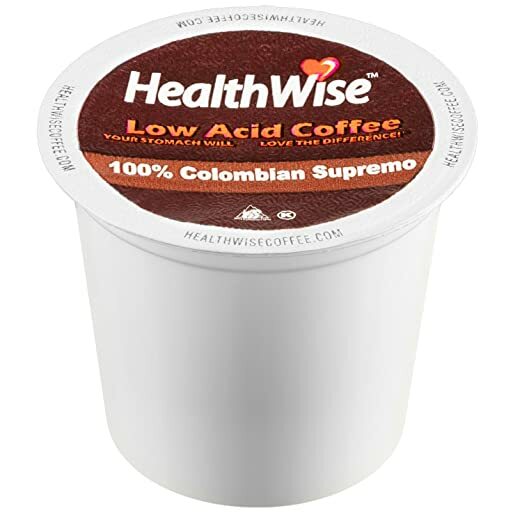 When taking a look at most of the low-acid K-cups available on the market, you’ll notice most of them are dark roasts. This is because the more you roast a bean blend, the darker it gets, and the more acidity is driven from the beans. This can be great if you’re a dark-roast lover, but if you love the lighter blends with a fruitier taste, with overtones of cherry, berries, apple, or light honey, you’ll be left wanting! Trücup has fixed this problem for you, bringing you the best of both worlds. They market their blends as ideal for people with acid reflux or heartburn issues; typical acidic coffee problems. This is the reason it might be a great option for those looking to alleviate those painful and inconvenient problems that shouldn’t occur when sipping joe. They’ve removed the majority of the acid to leave you with a full-bodied, yet medium-roasted coffee blend with low acidity for sensitive stomachs and digestive tracts. … but you didn’t think trücup would leave the deep and dark-roast lovers wanting, did you? They’ve also got this separate option for those who still love the dark roasts with deep and full-bodied flavor profiles. It’s called the Bold Roast. Instead of sacrificing flavor and quality when avoiding high acids in your coffee, you can pick up this bold roast and satisfy that craving for a heavy blend of thoroughly dark, flavorful beans. 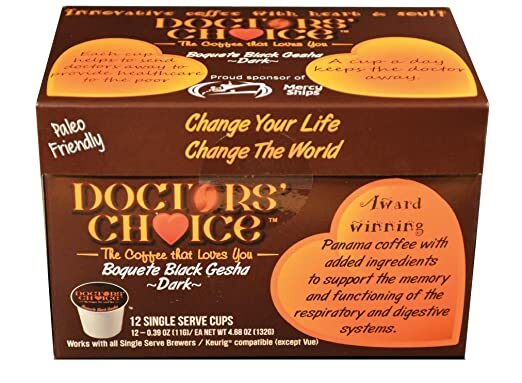 A special thing about Panama’s soil for growing healthy, pure coffee beans is that it’s chock-full of vitamins, (Chaga-B) enzymes, antioxidants, phenols and minerals. This blend of coffee offers you the choice to avoid harmful acidity in your cup, yet preserve the powerful and complete package of health-boosters contained in the rich soil the coffee is grown in. Not only does it remove the harmful acidity, this coffee roast adds in a couple extra layers of wellness-producing aftereffects. Namely, Bacopa (for brain function and memory), and Gotu Kola leaves (powerful respiratory-system boosters), native to the Panamanian region that you won’t find anywhere else. This is why the multi-facet approach of this low-acid Doctor’s Choice blend is a fantastic option that supports your long-term wellness, while supplying your short-term drip of daily caffeine. Additionally, thinking outside of your own health and benefits, profits from this company are often allocated to helping common issues in children local to Central America with problems like cleft lip and palate. This way, you can even participate in a bit of philanthropy for people who can’t afford the needed surgeries. A real win-win, from a worldwide health and love standpoint! At the beginning, we promised you a tenth option, a unique low-acid solution of sorts. Well, this isn’t a K-cup, but we still need to remember our friends who haven’t made the jump to a Keurig machine, through a moment of silence. Or perhaps those who travel on the road often but still need low-acidity coffee to keep their bodies healthy. 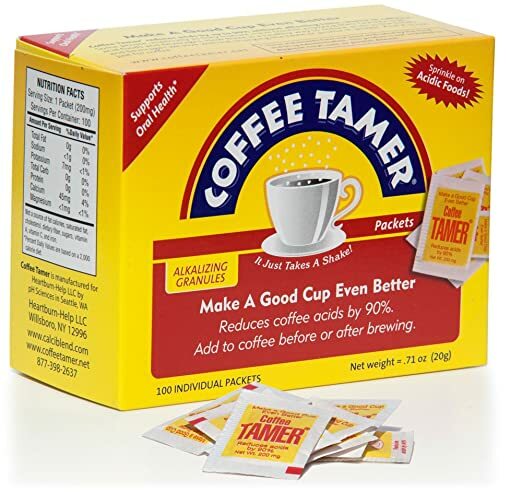 For these scenarios, we recommend the Coffee Tamer 100ct. 200mg. Packets of Acid-Reducing Granules, available here. The benefits of this are several since they’re convenient to carry, easy to travel with, and don’t change the flavor of your coffee one bit. Actually, even if you do use a Keurig daily, you can drop a packet of this in the coffee that your K-cup made, and still reduce the acid that much further! It’s called the “Coffee Tamer” for a reason, and we like to think of this magical dust as the coffee whisperer. 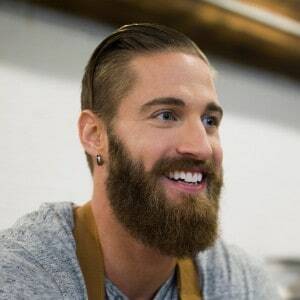 Just shake a packet or two in any cup of coffee, mix it thoroughly, and you’ve successfully taken the high acid profile out of any would-be disastrous cup for your system. It’s almost too easy. It’s great to travel with, great for convenience, and doesn’t take any extra effort to protect yourself at all. You can pick up this custom low-acidity coffee solution here. There are some frequently asked questions that we get about taming coffee, keeping the acid out of your morning joe, and protecting yourself, so we dedicated the entire next section to wrap up any outstanding concerns you’ve got. Aside from that, we sincerely hope you’ll find the best K-cups for your desires, be able to successfully preserve your health and digestive system, and alleviate some of the issues you might’ve experienced with overly acidic coffees. In the meantime, enjoy the last bits of our F.A.Q. below! What’s the difference between regular and low acid K-cups? Simply put, the level of acid is the main culprit that brings you trouble inside. 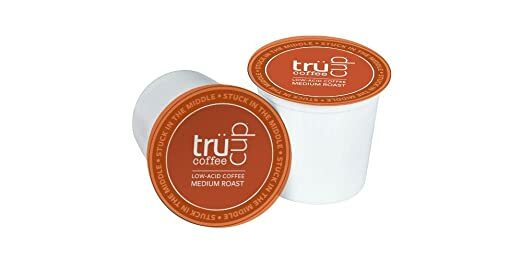 Regular K-cups don’t account for the acidity profiles that bring so many people their digestive issues or heartburn, so the low-acid cups were made to remedy this. These are not only for people with sensitive coffee issues, but aimed at consumers who would like to keep themselves higher up on the pH scale than what’s normal today, for health and wellness reasons of their own. What are the tastiest low acid brands? 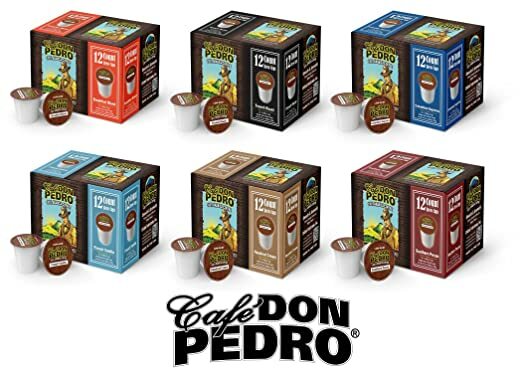 We’ve put nine of our favs on the list, but if you pressed us further, we’re hyped up about the Don Pedro varieties, due to their intense taste profile and wide array of select flavors to choose from. 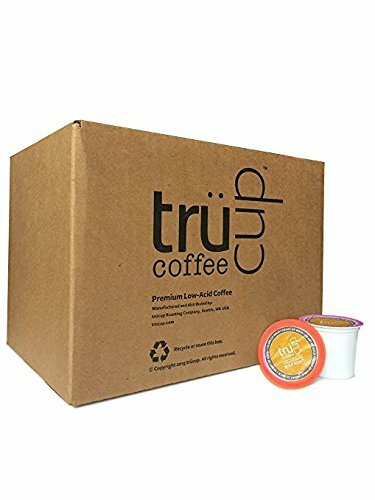 However, the medium roast from trücup is also a great option for medium-roast lovers, who don’t want super dark blends of coffee. These coffee-lovers generally enjoy blends that have more fruity tones, honey roasts, and light, spicy notes. Are all low-acid cups single use only, or are some recyclable? Most of the K-cups are going to be single-use throwaways, however there are a few gems in the article just above that are recyclable, and they leave our environment a bit better off in the end. Enjoy, and don’t forget to pour us a cup! ← Are Bodum French Presses Microwave & Dishwasher Safe?